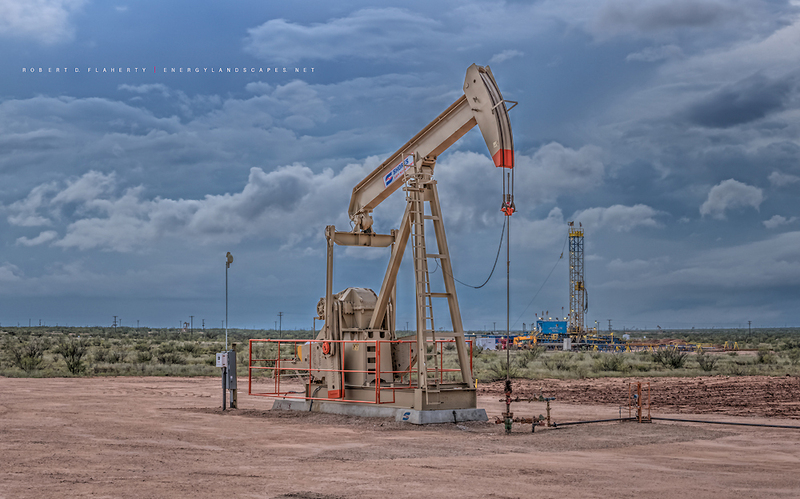 A new Shores pump Jack stands before an early fall thunderstorm on a Sandridge Energy lease in Western Andrews County Texas. The location is flanked by Lariat Rig 11 drilling the last of eight in line directional wells on University Land. Fine Art Oil & Gas Photography by Robert D. Flaherty. Photo © copyright by Robert D. Flaherty.